You are powerful Spirits of the natural world, existing on an isolated island. Invaders from beyond the known sea have recently begun their colonization of your island, killing the native islanders - a people called the Dahan - and upsetting the natural balance. The Spirits of the island must grow in power and throw back the Invaders before the island is blighted beyond hope of recovery! Spirit Island is a cooperative game for 1-4 players where each player is a Spirit of nature, defending their island from invading colonists who have little regard for the well-being of the land or its native inhabitants, the Dahan. Every turn, all Spirits act simultaneously, employing Powers to push the Invaders back, bolster the island, and aid the Dahan. But the Spirits start out small and limited, and will have to learn some new tricks in order to catch up to the rapidly expanding Invaders, whose Actions (automated by the game) drive them to spread across the Island and establish settlements, spreading Blight in their path. 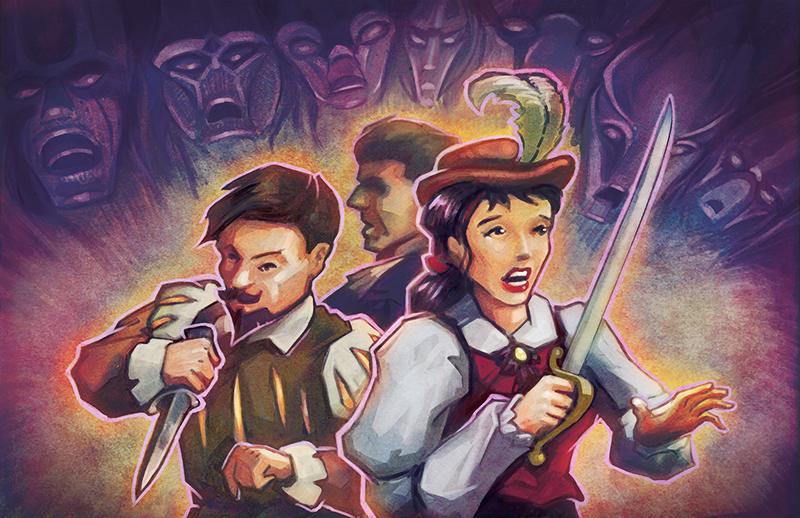 To win, the Spirits (with the help of the Dahan) must destroy the Invaders and scare away any survivors. However, the game will end in defeat if the island is overrun by Blight, if any Spirit is destroyed completely, or if you act too slowly and fail to drive the Invaders off before they become entrenched. Choose a low-complexity Spirit. (Lightning's Swift Strike, Vital Strength of the Earth, River Surges in Sunlight, or Shadows Flicker Like Flame). Take the Power Progression Card for your Spirit. Set aside all the Minor and Major Powers listed on the card. During the game, when you gain a new Power Card, add the next Power Card on the list to your hand instead of using the standard method. Don't use a Blight Card. Instead, use the pre-printed Blight space on the board. Don't use an Adversary or Scenario. They increase difficulty and add additional rules. Whenever your group is ready for a more challenging game, we recommend the Kingdom of Brandenburg-Prussia as a good first Adversary - it mostly modifies setup rather than introducing new rules. The Kingdoms of England and Sweden involve more fundamental changes to how the Invaders work. 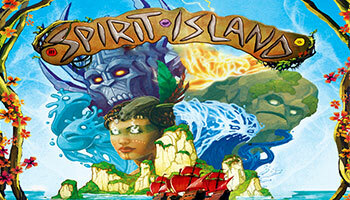 Players are spirits of nature on an isolated island. Invaders from beyond the sea have recently started to colonize, killing the Dahan (native islanders) and generally wrecking the place. 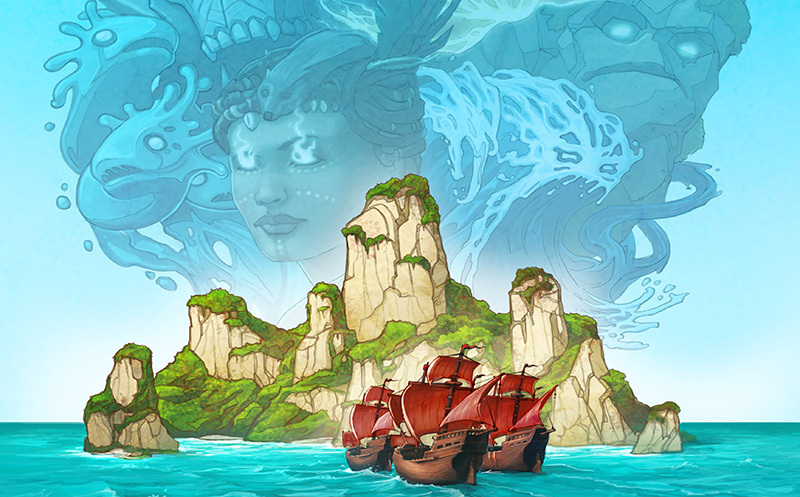 The Spirits must struggle to throw them back before the island is overrun! At the start of the game, the Invaders are at Terror Level 1 - not really afraid. To win, you need to completely clear the board of Invaders. As you earn Fear cards, you will reach new Terror Levels with easier victory conditions. You win immediately anytime you meet the current victory condition. Solo games work much like normal games, but with a single board as the whole island. The only difference is that you can target yourself with Powers that specifically target Another Spirit', though you do not gain extra benefits from Powers that are better when used on another Spirit, like Gift of Constancy or Elemental Boon. As you play Power Cards, put the required Energy on top of them. This will help you remember to pay for them. When you resolve a Power Card, you can push it forward or turn it sideways to note that it has been used. Don't discard it until end of turn, because you may be making use of its Elements for Innate Powers!